Interested in reading CSD Division Manager and Senior Vice President Jerry Pompa’s thoughts on a managed cloud service wrap approach to unified collaboration? 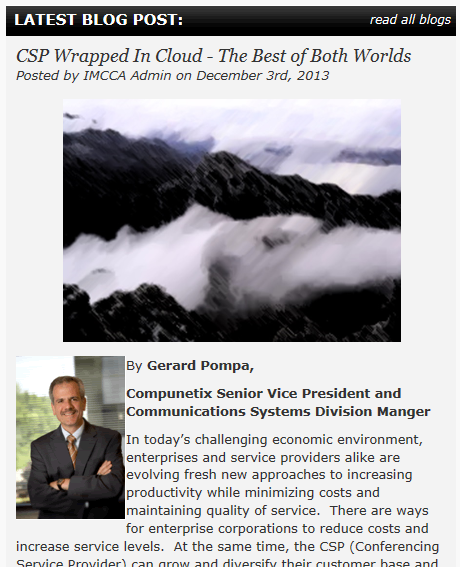 Be sure to check out his blog post, entitled CSP Wrapped in Cloud – the Best of Both Worlds, on the IMCCA’s homepage! Click to read the blog and be sure to leave your feedback in the comments below!